Guernsey Chamber of Commerce provides a diverse range of services and information for our members. Typically Chamber lunches are held on the third Monday of each month at The OGH Hotel from 12.00pm until 2.00pm. We have some excellent speakers talking on a range of topical subjects and our lunches an ideal opportunity to network with friends and business contacts. You will also find these lunches an effective way of corporate entertaining offering exceptional value for money. Non members are also very welcome. Find out more about Chamber events. We organise and hold regular seminars and also facilitate these on behalf of States of Guernsey departments and private companies. If you have a message that would like to get out to the wider membership that would be of benefit to the business community, this is an effective forum. We have a meeting room that can accommodate up to fifty people which can be hired by the day or by the hour. It is ideal for meetings or events away from the office, and as it is equipped with a white board, projector and internet access, it may also be used for small training courses. Please contact us at office@guernseychamber.com to book. This is included in every copy of our Contact magazine, keeping listings of all the Chamber members up to date. You can also view our online directory. A survey is carried out annually by Chamber’s Young Business Group. 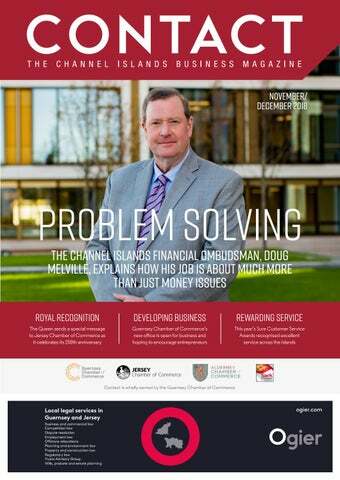 Results are published in our Contact magazine and indicate the Island’s business performance with levels of business confidence for the future. Require further information about any of our services? If you would like more details on any of the services we offer, please contact us.